Hello octopus lovers, Kevin Zuhn here! 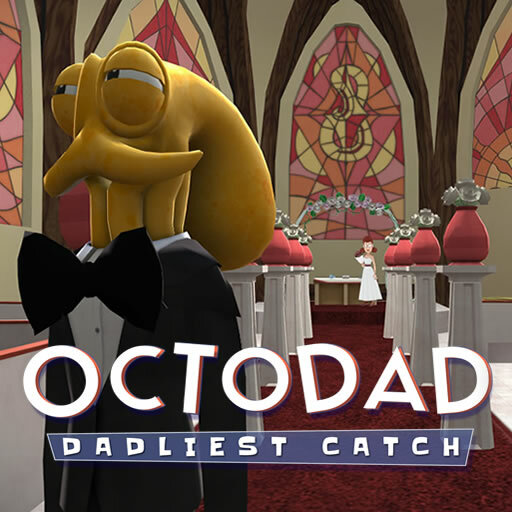 We’ve been in development of Octodad: Dadliest Catch for a while now, and while we make cephalopod fatherhood simulation look easy, it’s been a tumultuous process! A lot of work has gone into the content we’ve shown at PAX and on Greenlight. 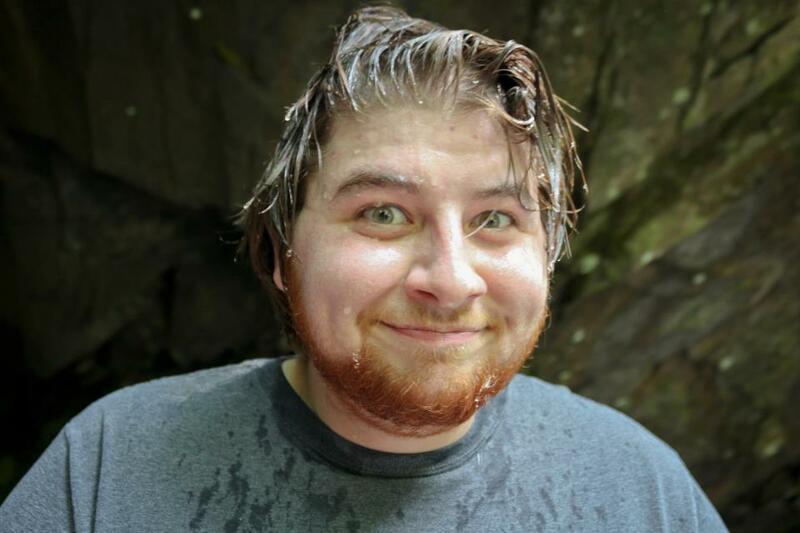 But I’d like to take a moment to consider content that hasn’t been shown. Moreover, the content that will never be shown. I’ve come to realize over time that my role as creative director of this game is often about putting on my boots, hunting down rogue ideas, and stomping them into an early grave. Let us stand in silence before the mental cemetery, and examine that which might have been. The church level (which you can see the entirety of in our gameplay video here) ends with wedding vows. Then suddenly the floor drops out beneath Octodad, and he falls, revealing that the church he was inside was actually a gigantic plane. Transition to opening credits. I really have no idea, other than that we say silly things in group settings. Because this isn’t Psychonauts, this is Octodad! Listen, there are plenty of ideas that are silly and fun on their own, but which have no place in Octodad’s world. 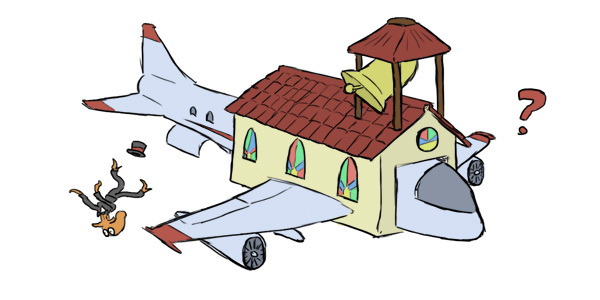 If we were making a game about church plane, I would be 100% team church plane, but we’re not, so I’m not. Teammates wave off the nonsensical nature of this scene, saying ‘it’s a dream sequence’, but dream or no it would be difficult to explain to the player, and for new players especially would give them a very wrong idea about what Octodad is about! I brought this idea up first because it won’t die. Members of the team still talk about it with a straight face, and I’m convinced by now that they are just doing it to rustle my manfeathers. believe him until I got back to a computer to check myself. And there it was, that beautiful green banner. Besides being extremely excited I think we were all a bit shocked. We had originally only expected to see 10 games get greenlit this month as that’s how many were lit last time, but we’re not complaining. A big thank you goes out to all of our friends, family, and Octodad fans out there who have helped us get to this point. Whether it be through a comment on Facebook, retweet on Twitter, or a kind contribution on Kickstarter we really really appreciate your help in making this crazy idea we’ve been crafting possible. Make sure to continue to follow us on Twitter, Facebook, and Greenlight for updates on how the game is coming along! 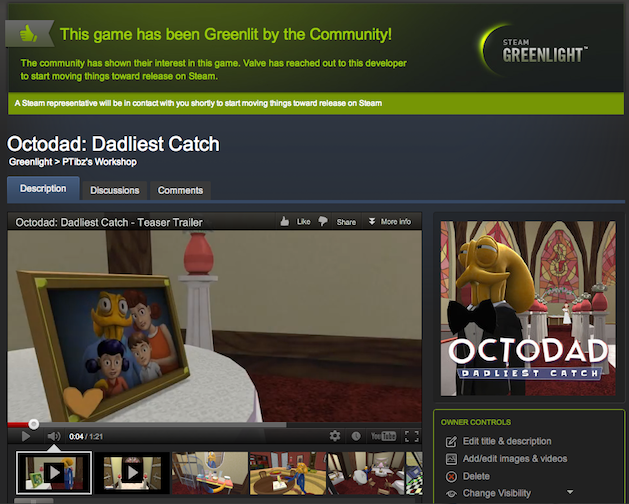 With being Greenlit we can now say that Octodad: Dadliest Catch will be on Steam. Creating games can be the best thing in the world. In our case we all get to work with incredibly crazy and creative people who are relentless in making sure we’re crafting a world that others will also find intriguing. Then again at times it has triggered some of the most stressful moments in my entire life. Submitting to the Independent Games Festival…hell, submitting to any festival is always a very anxiety filled process. For me at least I am always left wondering as to whether they received the build of the game or if we screwed up in our submission process. Then there’s the incessant waiting. SO MUCH WAITING. A few weeks or months can feel like it’s been forever. Steam Greenlight has been the latest episode in this series of unknowns and what if’s.